What’s not to love about Filipino Sweet Style Spaghetti, a must for a Pinoy children’s birthday party along with fried chicken and hotdogs on bamboo skewers with a marshmallow on each end. Let’s not forget the triangular sandwiches that are filled with shredded chicken with mayonnaise, freshly cooked Pork BBQ Sticks and for dessert…tubs of Ice Cream and slices of the Birthday Cake. Adding chicken meat and grated carrots gives this simple spaghetti dish added texture. 1. Sauté garlic, onion, chicken and carrots. 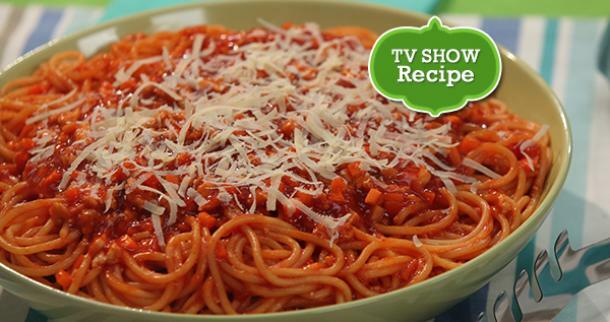 Add DEL MONTE Spaghetti Sauce, ¼ cup water and salt to taste. Cover and Simmer for 5 minutes. 2. 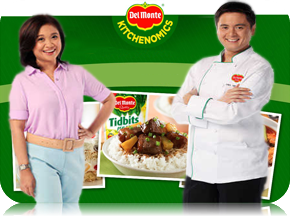 Pour over or mix with cooked DEL MONTE Spaghetti. Top with grated cheese, if desired.